Milo is a born in Vancouver Greyhound. 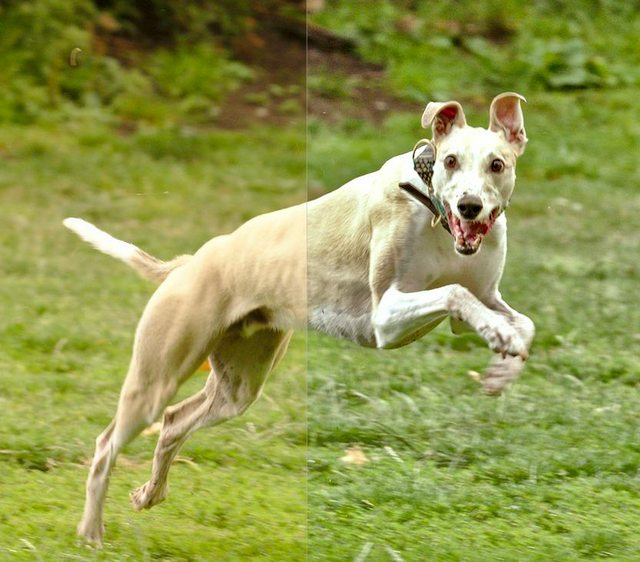 Most Greyhounds chase rabbits. For the Greyhound races, like the ones in England, in Las Vegas or in Mexico, they use a small metal rabbit running on top of the fence at the center of the race track. 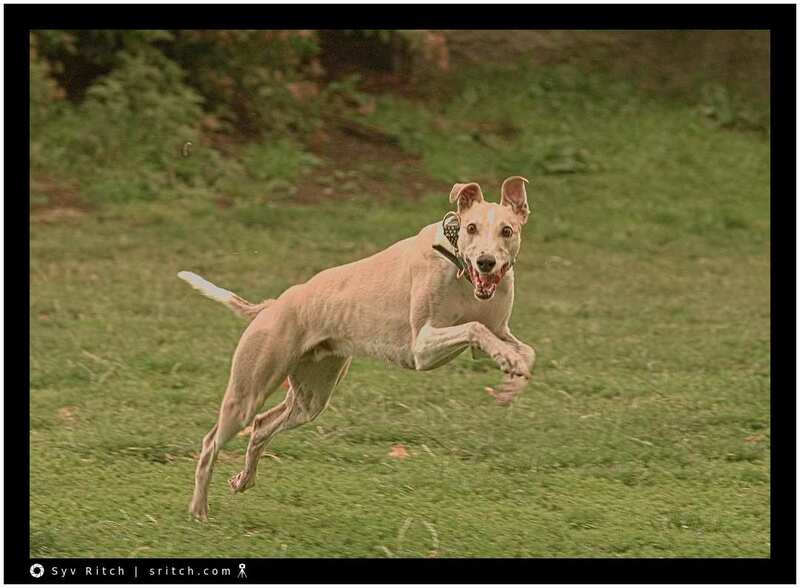 Milo has never raced as a Greyhound but he loves chasing Frisbees.